Traditionally, children are educated only within the confines of the school “syllabus”. As a result, their imagination is contained rather than given a free reign. HSC hopes to change that one child at a time. We believe free thinking is the foundation upon which creativity and innovation flourishes. 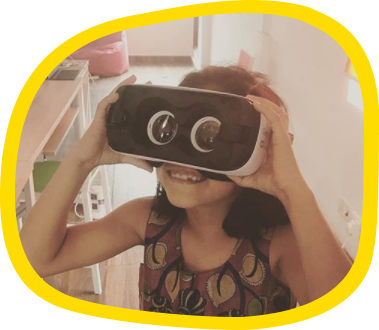 We want to help build the next generation of creators and innovators by supplying them with the required skills to make their imaginations come to life. It all started when we were hiring for our app development company (i.e. HSC’s parent company, Hatch) and came to the unfortunate realization that computer science graduates in India do not learn to code in college! It’s only the passionate ones that slog it out and learn on their own. This was our first big cue- Programming (or coding) is not given the degree of importance it deserves today. We at HSC are doing what we can, at the lowest level of education to inculcate learning, creativity and coding into young minds. There is no such thing as starting too early. The youngest app developer is currently is a 9 year old girl who has created THREE apps! "Making tomorrow&apos;s creators believe that everything is possible." 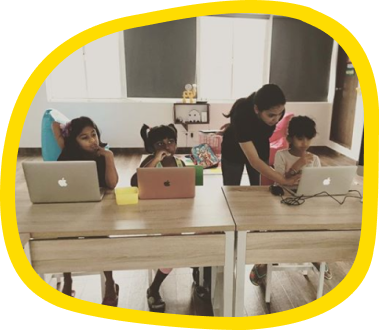 Enable young minds to develop problem solving and logical thinking abilities through the medium of code in a fun environment and make them believe anything is possible. To build the next generation of innovators and creators who generate positive impact on society.